There have been times where I’ve thought about shutting this blog down, but then I look at the readership numbers. It’s fun to see how many visitors come to this blog many years later. We’re glad you continue to come back and hope you enjoy reading our musings. Thank you. The logo of Diefendorff, America’s next great watch company. Still, life moves on. So have we. We’re no longer doing consulting through Do Well Do Good (sorry for any broken links that remain), but I am still consulting through my new practice. But perhaps more interestingly, I’ve also started a new venture – Diefendorff, America’s next great watch company. At Diefendorff, I’m applying all that I’ve learned in the CSR / sustainability space to a new brand, a new company. It’s going to be a journey for sure and I’ll actually blog about it on the company’s blog: Do Well, Better. So, take a look and drop me a note to let me know what you think. ACN is a great organization, but the organization does not necessarily endorse the views expressed in this blog. It’s just one guy’s opinion. Here’s a second installment from my new series on top interesting news items to hit the airwaves, social media circuit, and newspapers over the previous week and a half. As a reminder, the topics covered will range from traditional business strategy, sustainability, cause-marketing, marketing research, entrepreneurship, anything in between, and an occasional wild card. None of these are selected by a committee, just bits of news that I found interesting. Paul Polman = Sustainability Rockstar? Quite simply, I am a huge fan of Paul Polman and Unilever’s approach to sustainability. Marc Gunther recently published an interview with Unilever CEO. Shameless self promotion, Polman was also selected as one of six “Sustainability Pioneer” in a report that I co-authored with Ellen Weinreb. 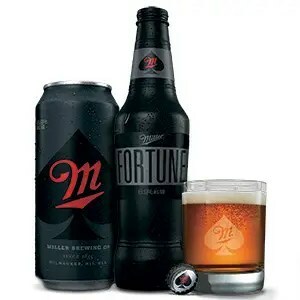 I am a big fan of The Cause Marketing Forum. It’s the go-to place for information on starting a CM program and networking with the those that are creating value through this niche form of marketing. Their Cause Update blog does a great job of briefly summarizing new cause marketing programs and it was through that blog that I first heard about The Big C Competition. 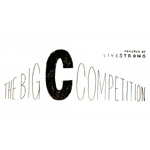 Essentially this competition, launched by the LIVESTRONG Foundation, will seek to fund entrepreneurial organizations that are addressing the needs of those living with cancer or caring for cancer patients. In total, sixty ventures will receive $140,000 and the grand prize winner gets $25,000. When I started my Twitter account over four years ago, Twitter was relatively new and there was a lot of talk about it being useless and a fad. I told myself that I’d give it 30 days and see if I could find anything useful in reading text messages with a limit of 140 characters. What on earth could this service provide that had a legitimate business value? Within a week I was hooked. Imagine you’re standing beside a heavy flowing river of information and all you have is a spoon. You dip your spoon into the water and take a sip. That’s Twitter. I’ve used Twitter as a marketing tool, as a way to connect with people at conferences, to meet like-minded people in my own city for coffee, (tactfully) espouse my opinions about politics, and – perhaps most generally, even though it sounds cheesy – express who I am as a person and professional. I love Twitter. Even though my posts ebb and flow with the goings-on of the day, it’s a great service. Whether you refer to the field as sustainability, corporate social responsibility, or shared value, today social and environmental issues are more a part of everyday business than ever before. We are now at a point where we can look back and celebrate the history of the field. And it’s in that spirit that I collaborated with Ellen Weinreb of the Weinreb Group to publish a report today where we identified six pioneers in two different categories of Chief Executive Officers and Thought Leaders.